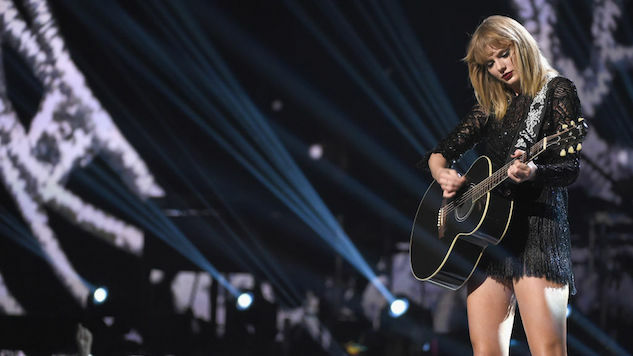 Everyone’s suspicions have been confirmed: Taylor Swift is coming out with a new record. After creating speculation by completely wiping her social media accounts, namely her Twitter, Instagram and Tumblr, last Friday, and then, over the past few days, posting on social media a sequence of glitchy videos featuring a snake slithering toward the screen, Swift has finally announced Reputation, due out Nov. 10. Fans won’t have to wait until then to hear any material from the album, however. Swift is expected to release the first single tomorrow (Thursday, Aug. 24). Along with those announcements, she also unveiled the cover art for her forthcoming album, shot by Mert & Marcus. The time between her last record 1989 (released in 2014) and Reputation has been the longest break between albums in Swift’s career—she’s released one every two years. In the meantime, she was dealing with the return of her music to streaming sites and a sexual assault case. Check out Swift’s tweets regarding the announcement of Reputation below.